If you have prostate cancer, you're probably inundated with information about potential treatments. Most of these treatments focus on new drugs. But one new study has found a way to make a current cancer drug work for prostate cancer. 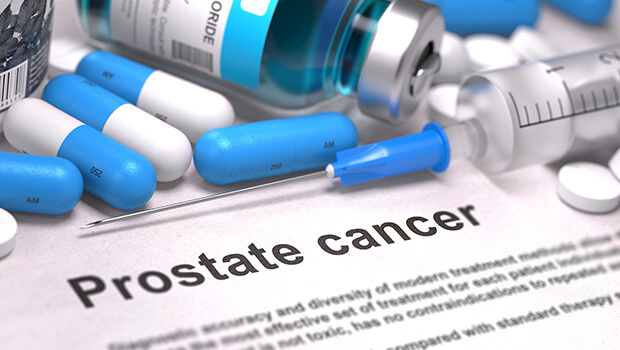 Researchers at Hokkaido University in Japan believe that they've identified a way to use the drug Gefitinib to treat prostate cancer. Stay with me, because this process is somewhat complicated. Doctors use Gefitinib to treat breast and lung cancer, among others. It works by inhibiting the signaling process of epidermal growth factor receptors (EGFRs). EGFRs help skin, lung, and digestive tissues to grow and develop. Normally, this is a good thing. But as you probably know, cancer is essentially unchecked cell growth that causes tumors to form. So the drug helps stop this process when it's gotten out of control. The problem is that it doesn't seem to work well in prostate cancers. The Japanese researchers wanted to find out if there was something else they could do to interrupt the EGFR signaling process. They ultimately found that if you attach EGFRs to a small protein called ubiquitin, the EGFR gets marked for destruction within the cells through the action of a protein called c-CBL. However, a different protein, called signal-transducing adaptor protein-2 (STAP-2) prevents the destruction of the EGFR. So the researchers found a way to shut down STAP-2 activities. And sure enough, the c-CBL got busy attaching EGFR and ubiquitin, which then led to the EGFRs being destroyed. According to the researchers' results, which were published in the Journal of Biological Chemistry, this reduced the proliferation of prostate cancer cells. This is good news - if you're a drug company. You can begin developing STAP-2 inhibiting drugs, and then start your marketing campaign. But why wait for that, when there are so many effective and natural ways to treat prostate cancer? I've found, and research has confirmed, that you can usually beat prostate cancer with the right combination of diet, nutrients, hormones, and herbs. I've written up my protocol, which is in the archives. But, don't try it by yourself. Find an open-minded doctor to work with you.